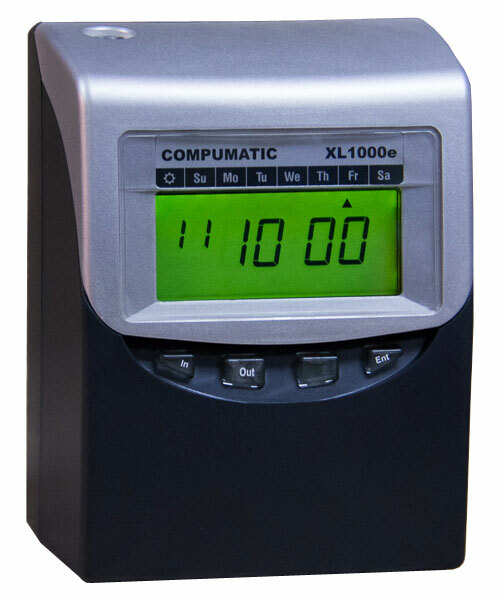 Save time and eliminate clerical errors, the fully automatic XL1000e time recorder automatically calculates hours for up to 100 active employees. No PC required, punch totals are automatically printed directly on the time card, along with the running pay period total. 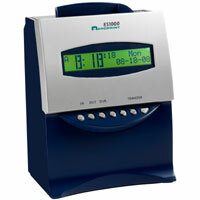 Employees simply drop in the card and the clock does the rest. 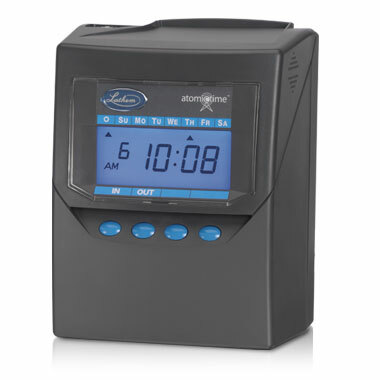 Save time and eliminate clerical errors, the fully automatic ES1000 time recorder automatically calculates hours for up to 100 active employees. No PC required, punch totals are automatically printed directly on the time card, along with the running pay period total. Employees simply drop in the card and the clock does the rest. Save time and eliminate clerical errors, the fully automatic 7500E time recorder automatically calculates hours for up to 100 active employees. No PC required, punch totals are automatically printed directly on the time card, along with the running pay period total. Employees simply drop in the card and the clock does the rest. Save time and eliminate clerical errors, the fully automatic MJR-7000 time recorder automatically calculates hours for up to 100 active employees. No PC required, punch totals are automatically printed directly on the time card, along with the running pay period total. Employees simply drop in the card and the clock does the rest. Save time and eliminate clerical errors, the fully automatic MJR-8000 time recorder automatically calculates hours for up to 250 active employees. No PC required, punch totals are automatically printed directly on the time card, along with the running pay period total. Employees simply drop in the card and the clock does the rest.